Hi I´m Melissa West and Today´s Living Your Yoga is about the first of the five hindrances outlined by Buddhist studies, desire. 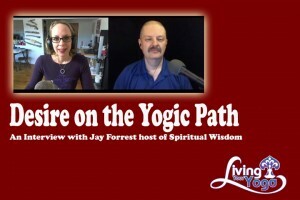 I´m joined today by Jay Forrest host of Spiritual Wisdom with Jay Forrest. Jay´s mission is to inspire you to live a peaceful and happy life by learning to think clearly, act wisely, and live mindfully. He combines the latest in neuroscience and psychology, with eastern and western philosophy, to give you teachings to transform your life. 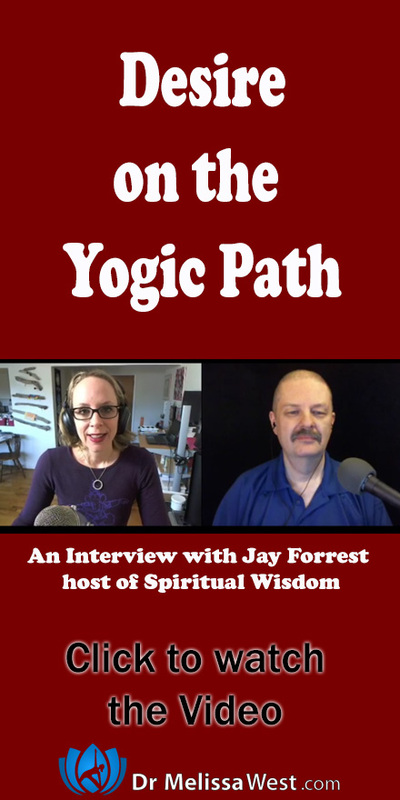 Jay Forrest is a Certified Meditation Teacher, the author of Practical Buddhism, and the host of the Wisdom Podcast. Why don´t you start out by telling us how desire is defined within the parameters of the five hindrances? What is the difference between desire and moving towards a healthy aspiration? How can people find out more about you and Spiritual Wisdom? If you liked today´s show then please like and subscribe to our channels. Today’s question to answer in the comments is: When in your life have you realized that possessing something won´t bring you happiness? If you would like a list of the antidotes to the five hindrances, type in your email address below and I will send you a list of the 5 hindrances and their antidotes. If you would like a yoga class to take you deeper with this theme then I would recommend Namaste Yoga 318 on this very topic. If you would like more support in bringing gratitude (the antidote to desire), then I would recommend a recording of a meetup we had exclusively for our members back this summer to go deeper with the Namaste Yoga Gratitude Series. #3 New gratitude technique: How much gratitude am I bringing in this moment?